The Punisher Season 2 is now just days away from its release on Netflix. 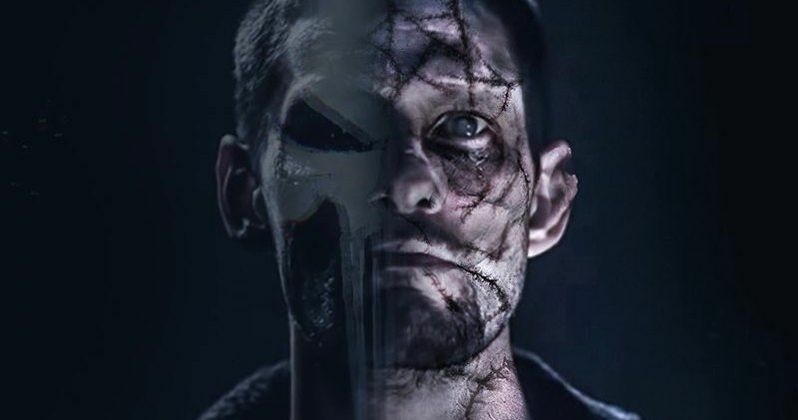 Fans will be able to binge all 13 new episodes to find out immediately what happens next between Frank Castle and his new arch-nemesis, Billy Russo. At the conclusion of season 1, Castle left Russo horribly wounded, particularly damaging his "pretty boy" face. This opens the door for Russo to become comic book villain Jigsaw, who's often depicted as having excessive facial scars. However, as revealed in the teasers for season 2, Jigsaw's scars are less severe than expected, with his facial scarring kept to a minimum. Curious to see how Russo would look on the Netflix series with more facial damage, artist BossLogic has uploaded a new image showing a much more disfigured version of the character. Humorously, the actor who portrays Russo on the series, Ben Barnes, took notice of the tweeted image. He referred to the artwork as "awesome," suggesting that fans will see where they're really going with the character once the new season premieres this week. This echoes the expectation for Jigsaw to be more mentally damaged than physically, with his brain metaphorically scarred by what happened with the Punisher. Already a homicidal psychopath in season 1, it's scary to think about just how much more deadly Russo will be once he officially becomes Jigsaw in season 2. While fans are certainly anticipating the release of the new episodes, there remains a sense of uncertainty about the show's future. Daredevil was clearly the most popular of the Marvel superhero shows on Netflix, and yet it was axed by Netflix along with Luke Cage and Iron Fist. The Punisher and Jessica Jones have not yet been officially canceled by the streaming service, but it seems likely to happen to both shows after they air their next seasons. Of course, season 2 of The Punisher is mere days away, while season 3 of Jessica Jones will be hitting Netflix sometime this year. Hopefully, the new Punisher season is solid, as it may very well be the end of the series already. Star Jon Bernthal is not the first actor to portray Frank Castle, but he's probably the most memorable. The first season of the show earned critical acclaim, with critics praising Bernthal's performance in particular. Previously, the character was first brought to life in a live-action movie by Dolph Lundgren. Thomas Jane and Ray Stevenson would assume the role in later movies. Critically at least, none of the three movies really seemed to do justice to the original comic book character quite like the Netflix series. If The Punisher ends on Netflix after season 2, hopefully it will find a new home elsewhere, as those behind Daredevil are looking to do. Season 2 of The Punisher will be arriving on Netflix on Jan. 18. Before passing judgment on the show's version of Jigsaw, let's wait until we binge the new season in its entirety. With or without excessive scarring, we can expect Billy Russo to be even more vile and violent than he was before. You can take a look at the Boss Logic artwork of the Jigsaw character below!